A cladistic investigation of the phylogenetic relationships among the three extant anteater genera and the three undoubted extinct myrmecophagid genera is performed based upon osteological characteristics of the skull and postcranial skeleton. One hundred seven discrete morphological characters are analyzed using the computer program PAUP. Characters are polarized via comparison to the successive xenarthran outgroups Tardigrada (represented by the living sloth Bradypus) and Cingulata (represented by the recent armadillos Dasypus and Euphractus). The analysis results in a single most-parsimonious tree (TL = 190, CI = 0.699, RI = 0.713). The tree corroborates the monophyly of the subfamilies Cyclopinae and Myrmecophaginae, the former including the extant Cyclopes and the Pliocene genus Palaeomyrmidon. Within the Myrmecophaginae the Miocene genus Protamandua is the sister taxon to a clade including the remaining three genera. The recent Tamandua is in turn the sister taxon to the extant Myrmecophaga plus the Pliocene genus Neotamandua. Contrary to the suggestions of recent authors, weak support is provided for the taxonomic distinctiveness of the latter genus from the recent Myrmecophaga. The monophyly of the Myrmecophagidae is supported by 15 unequivocal synapomorphies. The monophyly of the Cyclopinae and Myrmecophaginae is supported by 3 and 13 unambiguous synapomorphies, respectively. The enigmatic Eocene genus Eurotamandua, from the Messel fauna of Germany, is coded for the 107 morphological characters above and included in two subsequent PAUP analyses. The palaeanodont Metacheiromys is also added to these two analyses as a nonxenarthran outgroup to test for the possibility that Eurotamandua lies outside the Xenarthra. In the first analysis, Eurotamandua is constrained a priori to membership in the Vermilingua. The single most-parsimonious tree (TL = 224, CI = 0.618) that results places Eurotamandua as the sister group to the remaining anteater genera, contra Storch and Habersetzer's (1991) assignment of Eurotamandua to the vermilinguan subfamily Myrmecophaginae. Eurotamandua shares six unequivocal synapomorphies with other anteaters, including the absence of teeth and the presence of a lateral tuberosity on the fifth metatarsal. The remaining vermilinguans are united by 11 unequivocal synapomorphies, plus an additional 10 ambiguous synapomorphies. In the second analysis, the position of Eurotamandua is unconstrained. The resulting single most-parsimonious tree (TL = 219, CI = 0.632) places Eurotamandua outside Vermilingua as the sister group to the Pilosa (Vermilingua plus Bradypus). The monophyly of this node is supported by four unambiguous synapomorphies in the unconstrained analysis. 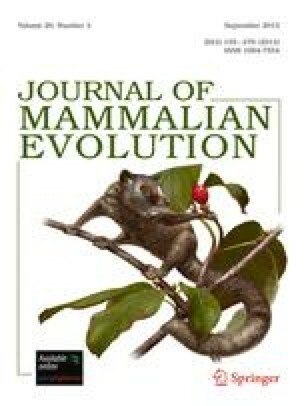 Further manipulation of this second analysis shows that placement of Eurotamandua as the sister group to the Xenarthra or to the Palaeanodonta adds three steps to the shortest tree but is more parsimonious than its placement as a sister group to the Vermilingua is the previous analysis. The addition of pangolins to the analysis does little to alter the major phylogenetic conclusions of the study. The allocation of Eurotamandua to the Xenarthra, but as a sister group to the Pilosa, is a novel arrangement which leaves open the biogeographic question of how a xenarthran reached Western Europe during the Eocene.